1. Set the CNAME to map your own domain to pbcdn2.podbean.com. 2. 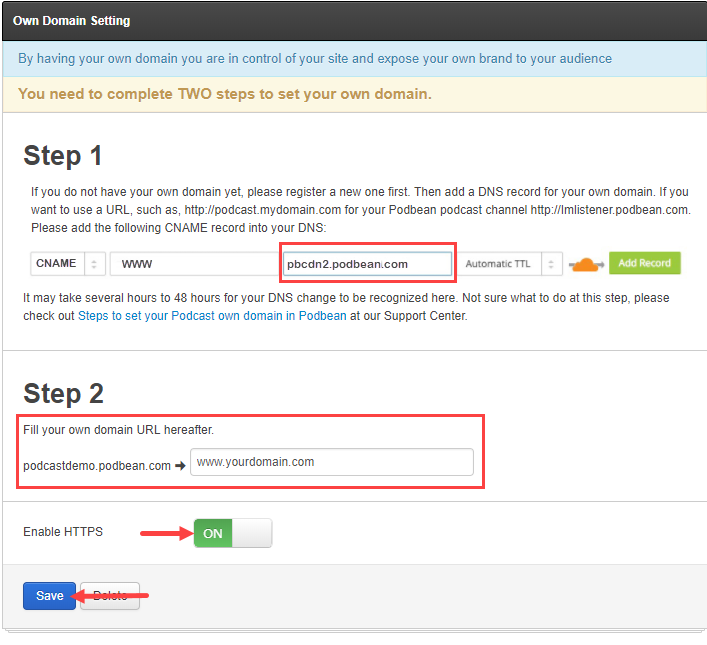 Set your own domain under "Settings"->"Own Domain" in your Podbean dashboard. 3. Turn on the "Enable https" option, then click "Save".